Cantherm | Canadian Thermostats & Control Devices Ltd. Compact bimetal thermostat with high capacity switching cycles. Various mounting possibilities offered. High quality performance thermostat. Used in control applications requiring precision and long life. Custom design, engineering, and manufacturing to your specifications. Open frame economical thermal protection with up to 10,000 cycles. Options include self-hold and manual reset. High temperature thermostat up to 430°C. Available with mounting brackets. NTC thermistor used for high power surge current protection. Small size with long life and proven reliability. Encapsulated thermostats used in the electronics industry. Designed for temperature measurement and temperature compensation of electronic circuits. Custom probes available with NTC or PTC thermistors encased in various housings. Probes also available with bimetallic thermal switches. Wide selection of snap action bimetal thermostats for thermal protection in a variety of applications. One time non-resettable thermal fuses. Low cost reliable protection against abnormal heat generation. Over 50 years of experience. Originally founded and incorporated as Multi-State Devices Ltd. to design and market a unique type of NTC thermistor with avalanche characteristics, now known as the Moxie, the company lacked the resources necessary to flourish and was subsequently sold. Since the acquisition by Microtherm GmbH in 1978, the entire Microtherm thermostat line was taken on and promoted. After several years of distributing the Microtherm thermostats manufactured in Germany, CANTHERM now produces a wide variety of snap-action, temperature limiting, bimetallic thermostats according to Microtherm designs for a wide variety of applications. Devices are available for the thermal protection of electric motors and transformers, medical devices, temperature sensitive electronics, power supplies, or anywhere that heat could become a problem. Cantherm and Microtherm are geared for a global market with 7 manufacturing plants and an excess of 30 sales offices around the world. With free global trade on the horizon, we are preparing products that will be acceptable anywhere in the world. 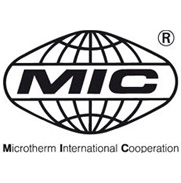 We presently have agency approvals, under the name of Microtherm GmbH, for all of our products with UL, CSA, VDE, BEAB and several other agencies and also hold CB certificates according to IEC requirements and EN 60730 specification. 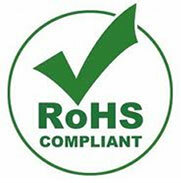 All Microtherm companies are ISO 9001 accredited. Cantherm is a self-sufficient, privately held profit center which is part of the Microtherm group manufacturing MIC products using the same German made components which are distributed to all of our factories. Because of this close affiliation we have access to a manufacturing capabilities of the entire group which exceeds 100 million units per year. Should any customer requirement exceed our capabilities, we would be able to draw on the extensive resources and over 50 years of experience within the group for assistance in such disciplines as Engineering and Design, manufacturing of sub-assemblies or finished goods, testing and many more.